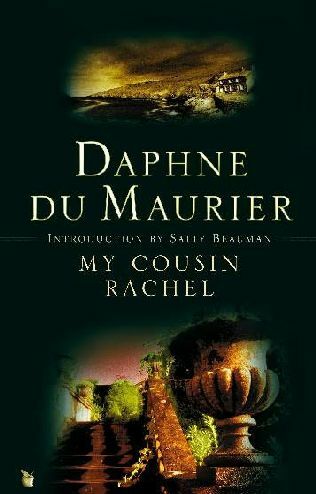 I read My Cousin Rachel ages ago, but thought I’d refresh my memory for this Historical Tapestry spotlight on Daphne Dumaurier- so I read it again! This second time around, I found it to be even better than the first. I just love du Maurier’s style- this captivating novel which spins a bit of mystery with tense levels of anticipation and romantic love of course…you know the kind when a gentleman was a real gentleman- and Rachel…well, what a deceitful character! The intrigue between two cousins, Ambrose and Phillip and their fate with Rachel’s scheming and bewitching, is a thrill to read. Up until the end I got to wishing things would change; that the love would be reciprocated and that Rachel really meant otherwise- that with Phillip she would be different…of course I knew how it would end! The scenery feels breathtaking; the suspense keeps you on edge (will Phillip ‘go’ from the same fate as Ambrose? ); what will happen to Rachel? …Ambrose’s note? I just fell in love with this book all over again. You can find Lucy blogging at Enchanted by Josephine. Thanks for participating in our Daphne du Maurier Season Lucy! Something that may be of interest ! My Cousin Rachel is definitely my favourite of du Maurier's novels. I agree with your assessment of Rachel. Rachel is such an interesting character, one who is guaranteed to generate lots of discussion and differing views. I have not read this book in years. I believe I have that among my mother's Book of the Month Club and she belonged in the 50s. Thanks for the reminder. Thanks Jenny- That's so cool!! Melissa- You're so right about the differing opinions...we could probably have a fun group discussion about her alone! I have this one on my shelf, but haven't read it yet. I do love her writing style. I need to get busy and read this one. This is the only book I have read by du Maurier other than Rebecca. I liked it, but it didn't have the impact on me as Rebecca did. I've read this several times and mus t do so again! Du Maurier helped me fall in love with books!